Noni Face Cream is a natural skin replenishing cream. It is able to repair your skin. It helps to slow down the aging of skin cells. Vitamin C and high potassium concentration in noni fruit can help to slow down the aging of your skin and enhance the skin firmness. Noni Face Cream keeps the skin smooth and soft to the touch. It can reduce blemishes and dark spots. 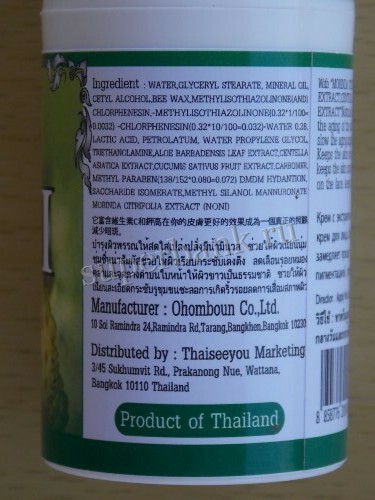 Noni Face Cream is approved by FDA in Thailand. Many people drink Noni juice and use products containing the extracts and enzymes in noni. 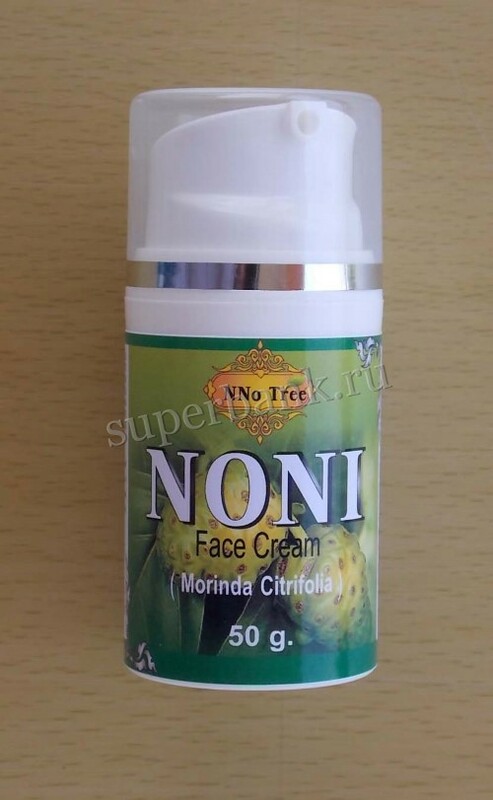 Noni Face Cream is one such product. Noni Face Cream is made from noni fruit extract combined with other cleansing and soothing ingredients. Its healing, fortifying, protective and exfoliating properties make it ideal for those suffering from any number of skin conditions. Noni Face Cream is great for dry or irritated skin, or for skin that is very sensitive and needs a natural, soothing and moisturizing cleanser. Dyshidrotic eczema, with blisters, and general eczema, which includes reptilian dry, scaly skin, are among the most common skin problems that people turn to Noni Cream for. Those with psoriasis, a chronic skin condition with scaly patches, often use Noni Cream to keep their condition at bay. Rosacea sufferers experience inflammation and reddening of the cheeks, nose, chin, forehead and eyelids. They often turn to Noni Cream to calm the skin down, as do people who are sensitive to other products and tend to experience hives, an irritating allergic reaction. 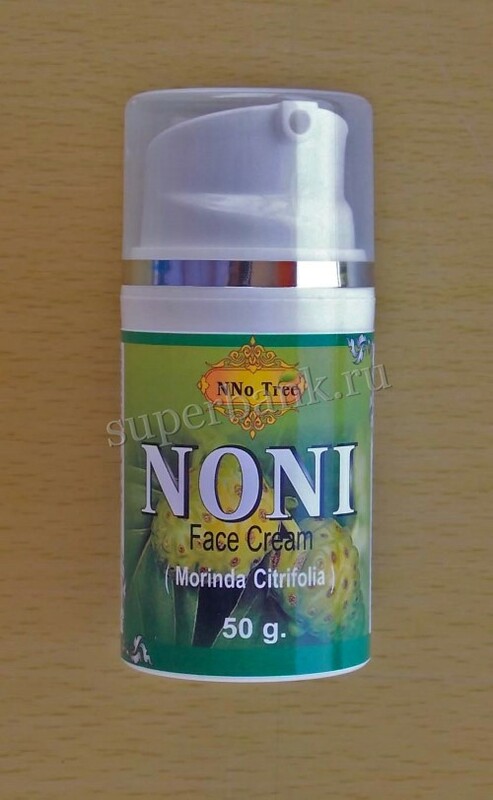 Noni Face Cream is also popular with those who suffer from other skin conditions, including acne, ringworm or allergic skin rashes. It can be very soothing for those suffering from chicken pox or shingles as well. People don’t need to have a skin condition to reap the benefits of Noni Cream, however. Noni Face Cream packs a powerful antioxidant punch, nourishing skin and helping it maintain its elasticity and youth. Many people who once used harsh or expensive creams have turned to Noni Cream - the ultimate in skin pampering, at an affordable price. Приобрела крем для лица из плодов нони. Очень понравился.нежный приятный. Кожа стала красивой. Заметен омолаживающий эфект.Особенно если умываешься жесткой водой,то после нанесения крема чувствуется защита и успокоение каждой клеточки.Рекомендую всем кто любит и дорожит своим лицом пользоваться именно этим кремом, И вы не пожалеете. 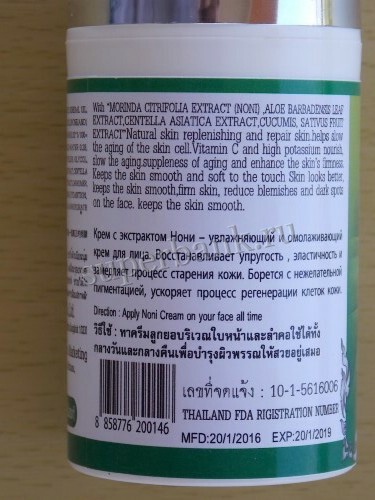 Click the button below to add the Noni Face Cream (Morinda Citrofolia), Made in Thailand to your wish list.